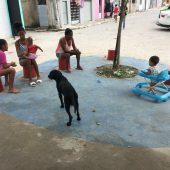 A rare slice of unoccupied land in the densely woven streets of the Santo Amaro favela had been safeguarded for years by local community leaders who planted trees and concreted the surface to prevent the space being lost to housing or dumping. 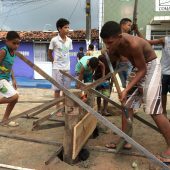 Ateliervivo was invited to carry out a 10 day design-build workshop to help the local community realise their aspiration of transforming the patch of land into a community space. Community leaders guided the master-planning process with very clear and often surprising insights about what would and wouldn’t work. There was a clear consensus that a play area with equipment was needed, and would be most likely to deliver the most desirable results for positive occupation of the square. 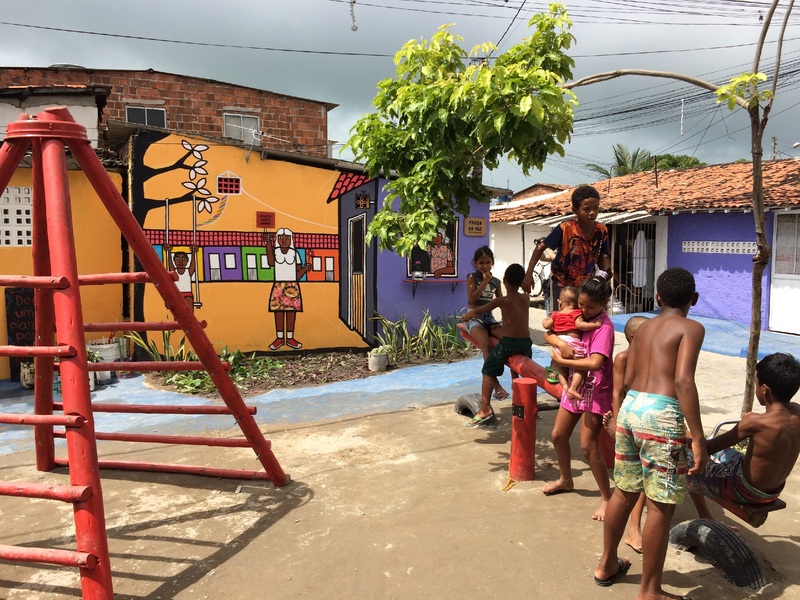 Play equipment was designed for maximum occupation and robustness while painting was done for quick impact with knowledge of its limited lifespan in the tropics. Project elements included; a mural, painting of adjoining buildings, a see-saw, a pyramid climbing frame, a swing, concrete seating and a range plantings in beds and locally found containers. Through ideas and inspiration generated from daily observation, and availability of materials, the project drew many references from the local surroundings. Nearby streets provided many cues regarding resourcefulness, delight, simplicity, and durability. 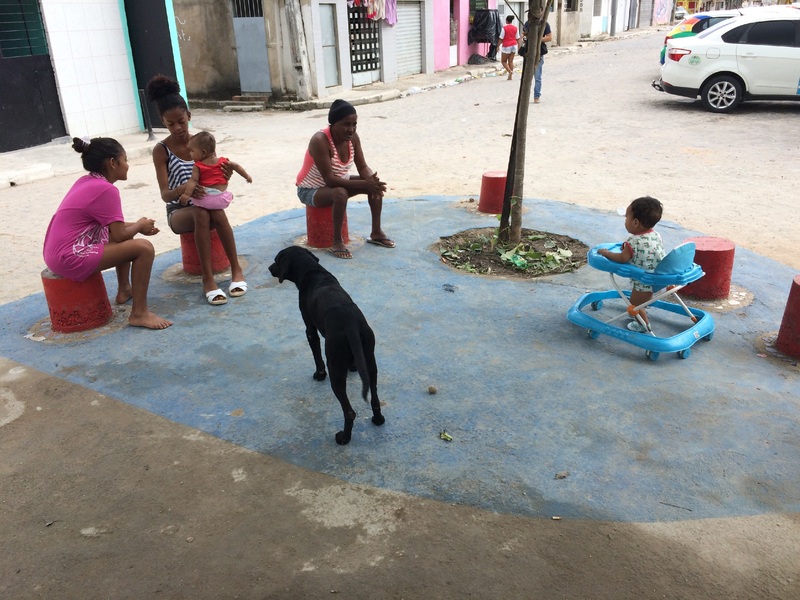 Eager to see a successful result, many community members worked alongside the team of Brazilian university students, offering a workshop space in the local ‘mothers club’ building, and finding many materials and tools that could assist the process. 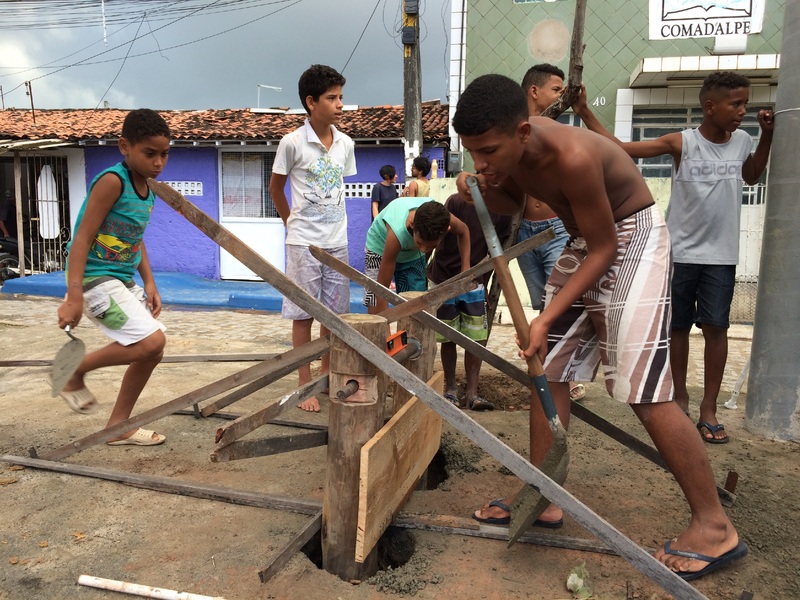 Many local children were particularly skilled at mixing concrete and boisterously augmented the labour force. The solution will be tested with ongoing observations, modifications, and contributions, as Ateliervivo’s support of the project continues beyond the initial flurry of building. 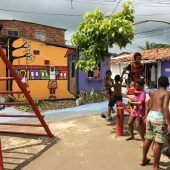 Research Question: How to assemble a series of simple interventions that create an immediate impact as well as provide long-lasting outcomes to strengthen a community space?